Pilar Shimizu, did what a lot of Olympians want to do next to getting a medal, beating their personal best. 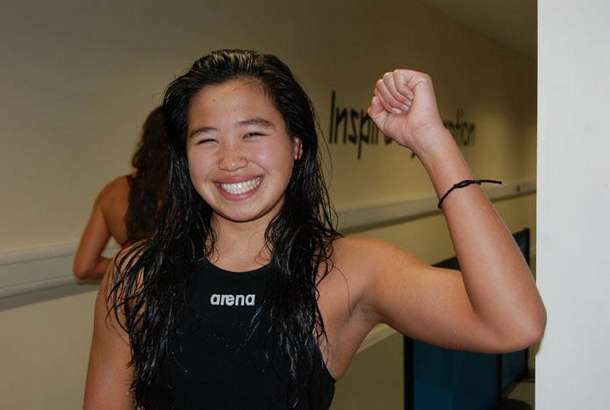 Guam Olympian, Shimizu, did that when she came in 2nd in her qualifying heat with a 1:15:76 which beat her record 1:16: 19 that she achieved two years ago in the 100 m breastroke. She was the first Guam Olympic athlete to compete in a sport in the London games so it set the stage for a good start to the island territory’s showing. Only sixteen years old and first time Olympian, Shimizu has been training for 12 years. A high school student , she is excited about competing with world class athletes that she has admired. She has already made a difference with a great showing .